In the first week of March, Outer Hebrides Tourism held a two-day conference in Benbecula and Stornoway. The recent success of the Outer Hebrides in being listed as a top destination by Lonely Planet and others was celebrated, and a new marketing strategy for our islands was being unveiled. A very large number of businesses attended the event. There were many interesting speakers sharing their own experiences and showing photographs on the screen as they spoke. 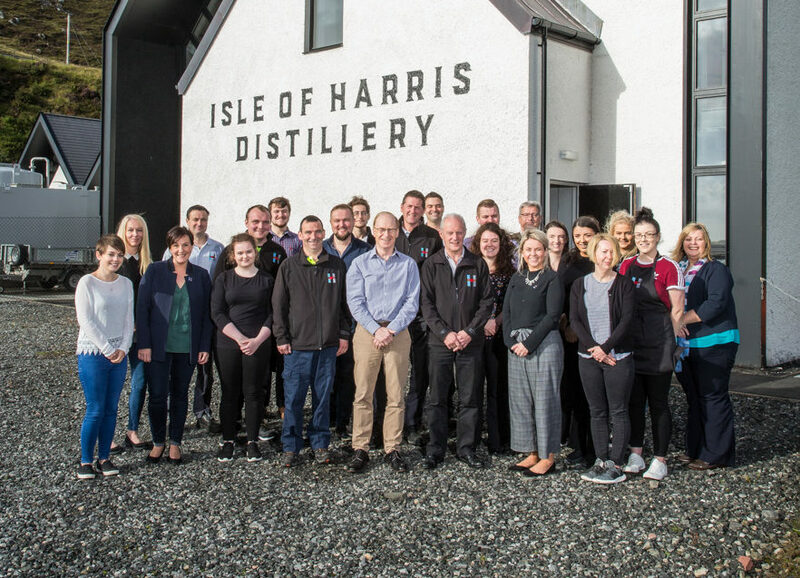 One of these caught my attention as it was a local Harris one, a lovely clear photo of the staff who work in the Isle of Harris Distillery. 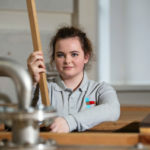 I have mentioned in an earlier column that they had just taken on their first Harris female apprentice distiller. It now appeared from the photo on the screen that there had been quite an increase in staff. Later, I commented on this to to the managing director of the distillery,and was told that the staff had now gone up to 30 or more. Now 30 employees in a business is a large number in a small island community, so I wanted to know more. 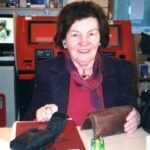 The managing director, Simon Erlanger, said I could have a copy of the photo and invited me to call at the distillery the first time I was in Tarbert. I decided to do this. I opened the door of the distillery and walked into a large room with a lovely fire burning and comfortable sofas arranged around it. I asked at the desk for Mike Donald, who was to give me some information and answer some questions. After introductions, we sat down in front of the fire. I was well aware of the excellent reputation of the Harris Distillery and that it had won top national recognition. In addition to the awards for distilling, the Isle of Harris gin was also recognised as Product of the Year at Scotland’s Food and Drink Excellence Awards. The Scottish Gin Society had voted it in 2019 as the top Scottish gin for the second year in a row. With no questions about the gin, my focus was on the increase in staff which I had noticed in the photo, and was a matter of such importance for our island. The distillery had started with a staff of 10, known locally as the ‘Tarbert Ten’. Now it had 32 full-time staff, with three more to be recruited. There are six part-time staff year-round and two seasonal staff for the summer. Mike said this was because absolutely everything was being done in Harris from the distilling to the bottling, and customer services. This is a whisky distillery but the production of the gin meant money was being made while awaiting the maturing of the whisky, which takes some years. They were extremely busy and, as time went on, more distillers and apprentices were taken on. I then asked about visitors to the distillery. With each year, Harris was getting busier. 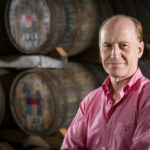 Mike said that in 2018, 90,000 people had visited the distillery. Tour buses called in addition to the many other visitors. They have thoughtfully put a desk in the front area where visitors will be able to get information. There is a real need for this, given that our tourist information office, along with others in the islands, has closed. Mike produced some staff photos so that I could choose the one I wanted. This was an informative and most enjoyable visit and Mike could not have been more helpful and hospitable. It was a delight to visit this business who are doing so well for Harris, and have created so much employment. This column concludes with congratulations to managers and staff, and very best wishes for the future.